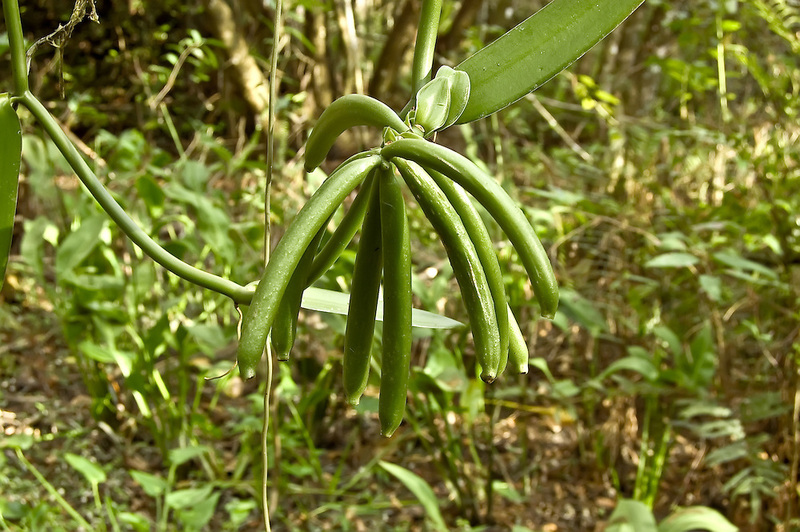 Vanilla "beans" in the Fakahatchee Strand in SW Florida. Very similar yet not quite the same as commercial vanilla beans which come from another vanilla orchid - Vanilla planifolia. They do however have a strong vanilla scent when the seedpods are fully developed.